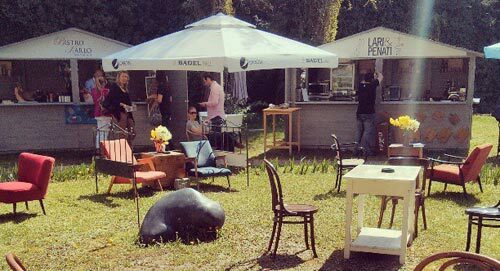 Last year, I went to the first Zagreb Wine Gourmet Weekend which was something of a continuation of the event from previous years, but under a slightly different name and organizer. You can read all about it in a round up of Days I, II, and III. Suffice to say, it was a great time with a lot of great wine and various side events. It also allowed for a heavy update to the Dalmatia guide. This year, there were a great number of changes to the event. The first being that it went from three days to two, April 19th and 20th. This was a sane choice given that Day III saw a lot of sleepy faces last year. Unfortunately this meant a shorter amount of professional time was given before the event was opened to a thirsty public, but I did my best to make good use of that time. A huge improvement was the overall organization of the event. Instead of splitting it between the Glyptotheque and Kaptol Centar, it was fully in the Glyptotheque. Signage was heavily prevalent and directed everyone well. All of the various classes and talks were within the main building with the wines and foods or in the second building, above the main lounge. It all worked quite well and was much easier to find. Something that was in complete agreement was the weather. Last year it was cold and rainy whereas this year it was bright, sunny, and quite warm. Naturally this made some of the rooms quite hot as they were more prepared to heat rather than cool them, but beyond having to take off the suit jacket, it was fine and made for the garden area they set up below to be quite welcoming. The event allowed for tasting some new wineries such as Rizman, Markus, and the oddly ever-absent, Philipp Vina. It’s surprising to actually see new wineries pop up these days given the general economic bleh we find ourselves in, but there they were and in general were working to produce newer takes on Dalmatian wines with a great deal less potent concentration which is a welcome change. Probably one of the best things about the fair was the chance to try more Hezegovina wineries. For those unfamiliar with the region, the native Žilavka and Blatina grapes make wonderful wines and the industry has really matured. 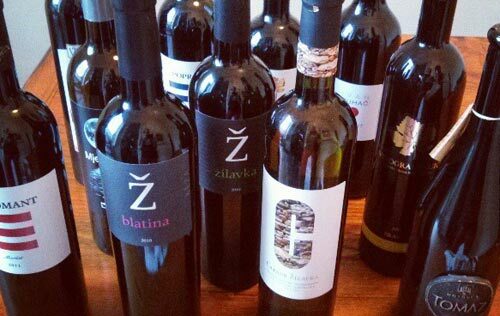 It was an absolute pleasure to taste the full range from the new wineries of Nuić and Keža as well as have an update on what Vinarija Čitluk and Škegro are offering these days. The Žilavkas showed great minerality and a dizzying array of characters. The Blatinas were wild and herbal, but kept completely under control. Expect an update to our Herzegovina guide very soon. This tasting was of course one of many and there was also a Macedonia tasting that was quite popular as well. Unfortunately both myself, as well as Goran of Taste of Croatia were unable to make it to that as we were giving a talk on enotourism, but more about that later. Admittedly, despite the general thrill of tasting so many wines that are hard to find outside the region, there was a touch of life missing to the fair this year. This was most likely due to all but one of the Grand Cro not attending the fair. This was a shame as many in that group make some really nice wines, but obviously it’s a great undertaking to participate in such an event. Hopefully more will be there next year and the weather will decide to be just as pleasant. Onwards to the sample notes! It seems such an interesting tasting. Unfortunately these wines are very difficult to find, hope to be able to taste some of them soon. WOW, weather was a great ally in this occasion. Excelent iniciative and thanks for sharing!